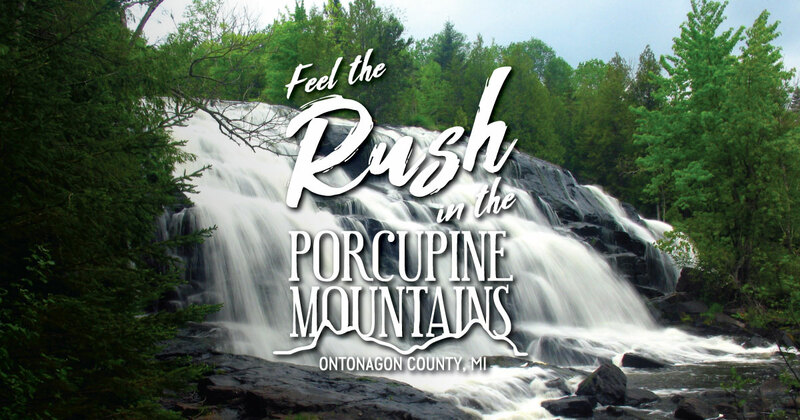 Often considered one of the most scenic falls in the Upper Peninsula, Agate Falls is located on the middle branch of the Ontonagon River. These majestic falls are created as the river makes it way over a terraced sandstone shelf, creating a series of falls nearly 40 feet high. An improved, accessible trail allows easy access to the falls, and the parking area also has a picnic area. Take Highway 45 south to M-28 at Bruce Crossing. Head east on M-28 and look for the parking area and trailhead off of M-28.